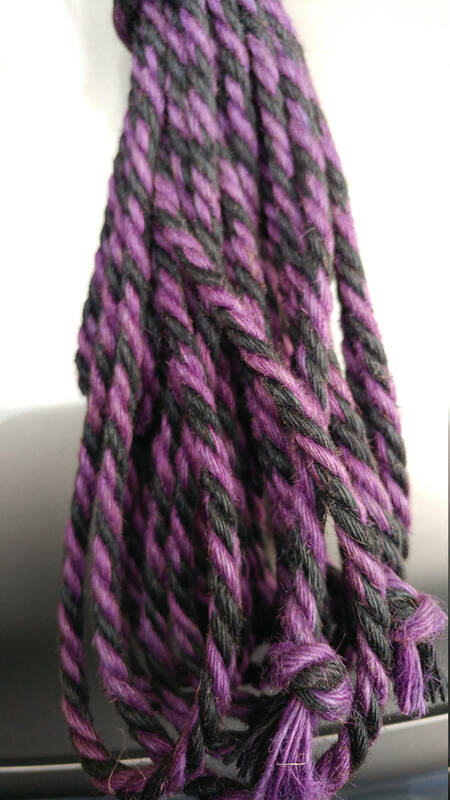 - Black and purple means - 1 Core is purple, 1 Core is Black, and 1 core is split, black and purple together. 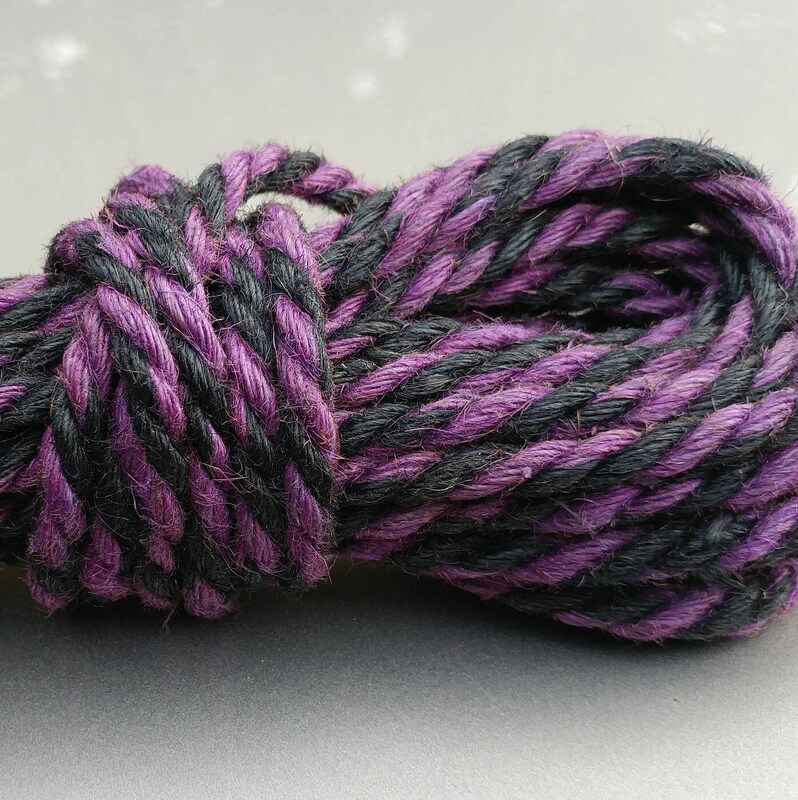 This is a tighter more firm rope than most jute and this is one of many reasons I love this rope. 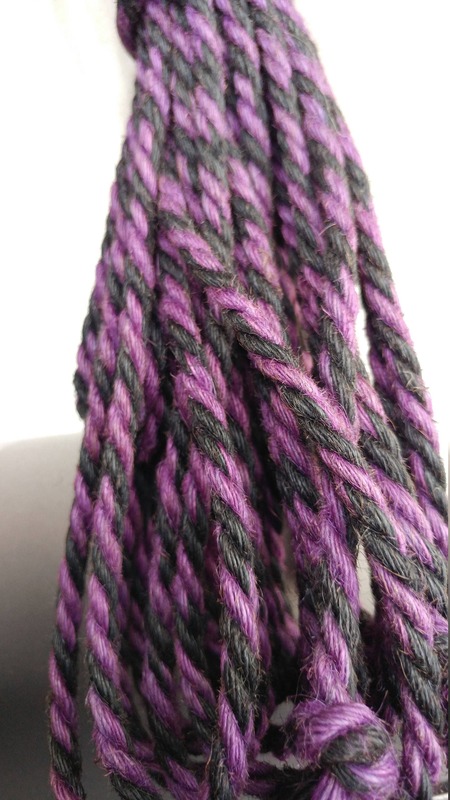 Dyed before spun into rope and feels like it will last longer than other jute I own. I will buy from this guy more. Absolutely beautiful. 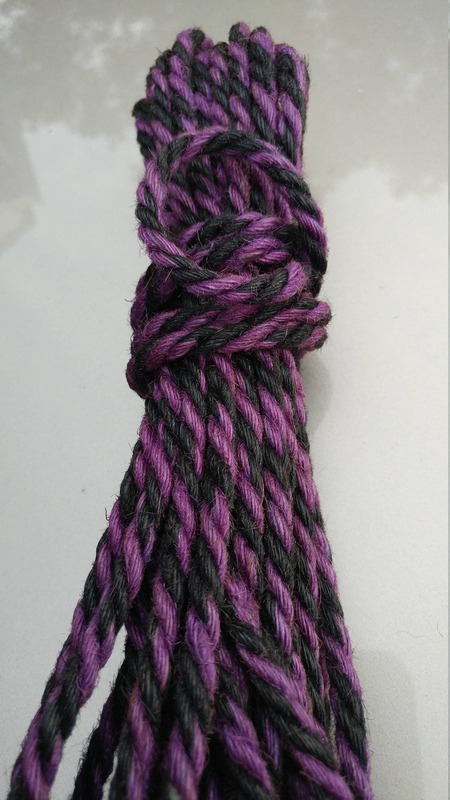 This is my first piece of Jute rope. The colors are stunning. I have other pieces of EDK hemp also. Excellent craftsmanship. Beautiful colors, and delivered in a very timely manner!! Irritates my skin a bit but otherwise perfect!